Native advertising is a form of paid content marketing where the ad experience follows the natural form and experience of the platform in which it is placed. These include branded content on publisher websites and sponsored posts by influencers and content creators. Related: What Is Native Advertising? But why is native advertising so effective? It’s simple. Recommendations from people we know are the most highly trusted ad formats, with editorial content and online consumer reviews not far behind. Therefore, sponsored content about your brand from influencers or publishers are more likely to have a greater impact than ads you put out yourself. What are the trends around native advertising in S.E. Asia? What sponsored content opportunities are available for my brand? How to decide which publishes & influencers to work with? What are the best practices when it comes to working with publishers & influencers? This is what makes influencer marketing and native advertising great ways to boost brand credibility and get better click through rates. 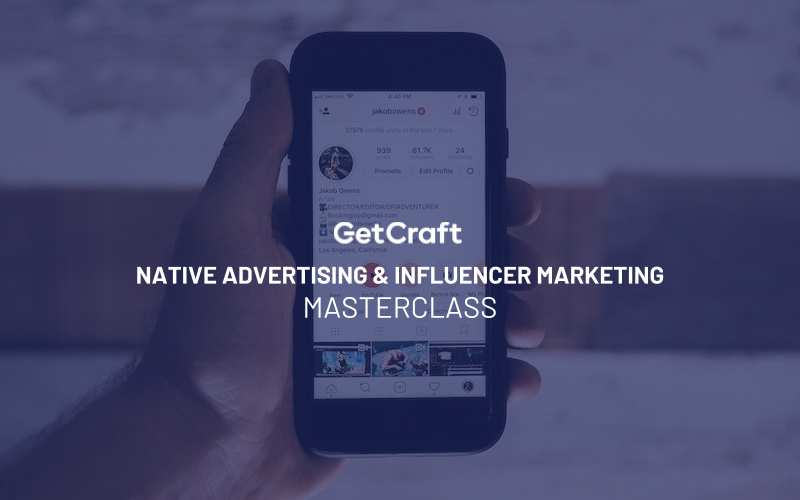 Patrick Searle, Group CEO of GetCraft discusses this further in our latest Native Advertising and Influencer Marketing Masterclass Webinar. He also shares relevant data and insights from sponsored content campaigns GetCraft has been running across Southeast Asia.